"Every minister of holy religion must bring to the struggle the full energy of his 'mind' and all his powers of endurance." If there is one thing, one single line of text, that could be said to have motivated the tireless apostolic work of Father Vincent McNabb, it is this line from the encyclical Rerum Novarum of Pope Leo XIII. This great papal "call to arms" illuminated all of his work and action: after Holy Scripture and the works of St Thomas it held pride of place in his heart. Indeed, no priest, no religious in England was as indefatigable as Father McNabb in his desire — in his work — to see the blue-print of Rerum Novarum and the Church's social teaching put into action. It is evident that Father McNabb is hardly known amongst Catholics today. Even amongst those who concern themselves with Tradition many may know his name but little more. Perhaps most of those who have heard of him stumbled across his name while reading about Hilaire Belloc or G K Chesterton. All these mental associations are indeed aspects of the man, of the priest; yet he would, I think, like best to have been known for championing Rerum Novarum. "... he is one of the few great men I have met in my life; that he is great in many ways, mentally and morally and mystically and practically... nobody who ever met or saw or heard Father McNabb has ever forgotten him." "The greatness of his [Father McNabb's] character, of his learning, his experience, and, above all, his judgement, was altogether separate from the world about him... the most remarkable aspect of all was the character of holiness... 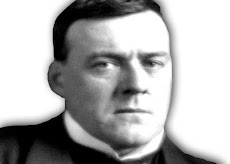 I can write here from intimate personal experience [here, Belloc refers to Father McNabb visiting Belloc — at the latter's request — immediately after the premature death of Elodie Belloc, his wife, in 1914] ... I have known, seen and felt holiness in person... I have seen holiness at its full in the very domestic paths of my life, and the memory of that experience, which is also a vision, fills me now as I write — so fills me that there is nothing now to say." "Father Vincent is the only person I have ever known about whom I have felt, and said more than once, 'He gives you some idea of what a saint must be like.' There was a kind of light about his presence which didn't seem to be quite of this world." So who was Father McNabb? He was born Joseph McNabb, at Portaferry near Belfast on 8th July 1868. His father was a sea captain whom he seldom saw: his mother was just that, a mother, and — in his eyes — all the more blessed for being "just" that. Not that she didn't have other things than bringing up the children and managing the home to occupy herself with: one of Father McNabb's first memories is of his mother taking him on a sick visit to a lady with a cancerous growth in her chest whom Mrs McNabb would wash and comfort. She was the mother of eleven children in total, Joseph McNabb being the tenth. In his later years he wrote a book, almost an autobiographical study of his early years, called Eleven, thank God! which he dedicated to his mother and which stands as a great apologia pro familia magna. Family always held a central place in Father McNabb's world, as it indeed holds a central place in Rerum Novarum. Although born in Ireland, by the age of 14 he had moved with his family to Newcastle-upon-Tyne, on account of his father's work. The influence of his time in Newcastle was important to him, for his family moved into the parish of St Dominic's which was — unsurprisingly — run by the Dominican Order. 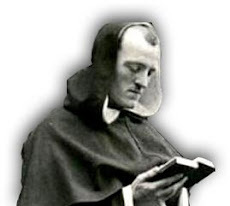 He was profoundly impressed by all he saw of Dominican life and spirituality, of their asceticism, their love for Holy Scripture and their profound learning; and so he decided to become a Dominican. 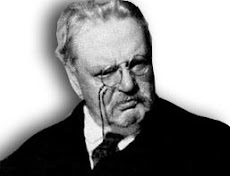 Curiously, what appears to have been the principal human motive behind Father McNabb's vocation was the same thing that drove Chesterton into the Catholic Church — fear of Hell. As he put it: "I don't want to go to Hell; I think I'll go to the Novitiate!" Undoubtedly, while many reasons can be identified for the motivation behind his vocation, the simple fact was that he felt God was calling him to become a friar in order to save his soul. At the age of 17 Joseph McNabb entered the Dominican novitiate at Woodchester. The Dominicans at this time were but a small band: but Joseph McNabb's entrance to the Order coincided with the beginnings of a comparative deluge of able and devout novices who entered in his year and the three or four years following, novices who once professed formed the basis of the Order's rise to prominence during the first half of the twentieth century, principally under the aegis of Father Bede Jarrett. Father NcNabb was ordained in September 1891, the year of Rerum Novarum, shortly after his 23rd birthday. He was the most brilliant scholar of his year in the novitiate, although the following years were to see some greater academic minds entering the Order. Interestingly, when he took his Ad Gradus examination in Rome prior to his Mastership, Père Garrigou-Lagrange was one of his examiners. By 1894, three years after his ordination, Father McNabb was sent back to Woodchester with his Doctorate in Sacred Theology. For the next 26 years, Father McNabb was sent hither and thither as holy Obedience demanded. He taught novices at Woodchester, was then sent to Hawkesyard to teach theology: in 1906 he went to St Dominic's Priory in north-west London for the first time as parish-priest for two years from whence he was plucked back in 1908 to become Prior of Holy Cross, Leicester, for 6 years until 1914. In 1914 he was elected Prior of Hawkesyard, where he faced his severest personal and spiritual tests, and in 1920 he returned to St Dominic's Priory in London, where he served again as parish-priest until his death on 17th June 1943, some 23 years later. So let us now look in more detail at the work and thought of Father McNabb. He took some time to find his own apostolic feet but as he came into contact, through his apostolate, with more prominent Catholic and non-Catholic figures, he came into greater national prominence as he was asked to write articles and essays, to preach, and to address public meetings of almost every conceivable variety. When he finally settled down at St Dominic's Priory in London at the age of 52 he found a context for his work and contacts with those able best to assist him in his work and so — per accidentem — became a national Catholic figure. His preaching at Parliament Hill and Speakers' Corner with the Catholic Evidence Guild were instrumental to this growing renown. "This book rests upon certain dogmatic and moral principles, certain undeniable facts, and it makes certain practical proposals. The first principle is that there is a God, our Creator, Whom we must love and serve; and Whom we cannot love and serve without loving and serving our fellow creatures. The second principle is that the Family is the unit of all social life; and that therefore the value of all social proposals must be tested by their effect on the Family. The third (psychological) principle is that from the average man we cannot expect more than average virtue. A set of circumstances demanding from the average man more than average (i.e. heroic) virtue is called an Occasion of Sin. The fourth (moral) principle is that the occasions of sin should be changed, if they can possibly be changed, i.e. they must be overcome by flight not fight. ...From this observed fact that the industrialized town is an occasion of sin we conclude that, as occasions of sin must be fled,... Flight from the Land must be now be countered by Flight to the Land." The occasion of sin which Father McNabb was particularly — but not exclusively — referring to was the temptation placed before poor families living in poor conditions to resort to methods of birth control ("no birth and no control" as G K Chesterton so famously put it — "race suicide" as McNabb put it rather more grimly). The state in which so many of his contemporaries lived and worked filled him with such grief and anguish because it was largely amongst these people that he worked, and to these people that he ministered and preached. Despite his popularity, and its usefulness to his mission, he was consistent in urging his congregation, his audience, to leave him and to leave London. He encouraged all those who could to desert the Babylon of London — "Babylondon", as he often referred to it — and vowed to remain behind to serve those who could not, or would not, leave: at least until the way had been prepared by those who had gone before them into the countryside. And it must be remembered that this flight to the Land was no foolish idea: towards the end of Father McNabb's life the Government itself was in the face of war to encourage a return to the land, so as to increase agricultural produce from its degraded and untended fields. While objective material poverty may not now — save in exceptional cases — be so great as it was then, before the Second World War, who would dare say that the various scourges of metropolitan life today are no worse? "All our personal and social building, to be lasting, must be trued by the measures of that little school of seers whose names are the very music of life — Jesus, Mary, Joseph!... the Nazareth measure of length and weight and worth is the Family... let no guile of social usefulness betray you into hurting the authority of the Father, the chastity of the Mother, the rights and therefore property of the Child." "[E]ven Catholics have sometimes come to think that the three virtues behind these religious vows were only for religious, whereas the three virtues are binding upon all individuals, and in some measure, upon that grouping of individuals... which we moderns...confusedly call the State'." "...the religious men or women who have publicly promised God to keep poverty, chastity, obedience are not thereby bound to more poverty, more chastity, more obedience than if they had remained as lay-folk in the world." "[I]t need hardly be pointed out that the poverty of work and thrift, the self-control of virginal and conjugal chastity, the obedience to rulers and to law, are of the greatest social value and need." In many articles Father McNabb traced the decadent and withering effect of the State upon society to its neglect of poverty — through reckless expenditure, financial mismanagement, usurious practices — to its neglect of obedience — by going against the natural moral law and the laws of revealed religion — and to its neglect of chastity — by permitting, even encouraging, activities that undermined sexual or conjugal morality. Just as every individual should strive to be poor, chaste, and obedient, so too the State should aim to adhere to these three cardinal virtues. One of Father McNabb's hardest lessons to his own and to our generation concerns poverty. To Father McNabb poverty meant having enough for your duties of state but no more: having no excess, no extravagance, no luxury — always giving, as Christian charity dictates, to those less fortunate what you yourself or those for whom you are responsible do not need. He was certainly not referring to indigence: but, certainly, what constituted "enough" in Father McNabb's eyes would be considered as much too little by most of our contemporaries and even by most of us. He wanted us to attempt to be self-sufficient, restrict our desires, limit our needs, control our consumption and give from any over-abundance we possess. Many Catholics throughout the ages have fallen into complacency on this point by retreating behind the wall of "spiritual poverty", by allowing themselves anything and everything on the basis that they are poor in spirit. Father McNabb of course realised the importance of spiritual poverty; realised that it was possible for a poor man to be more avaricious and more greedy than a rich man. But he also realised the dangers of riches, in particular the difficulty of achieving spiritual poverty when surrounded by excess — and he also realised that the demands of justice and especially of charity required people to have less than they would probably like or would naturally have. Furthermore, he saw the embrace of poverty as a means of defeating the increasing materialism and destitution of the world about him. We must, however, not forget that Father McNabb would never claim originality or even ingenuity for any of the things about which he taught or preached. He taught only what the Church taught: in particular he taught almost exclusively from Holy Scripture and from the works of the Angelic Doctor. All that may strike us as unique about Father McNabb's teachings — he himself would never claim anything unique for them, of course — was in their emphasis and application. And there were many sides to Father McNabb: as well as being the devoted preacher of Rerum Novarum and being the 'celebrity friar' who appeared at public meetings and spoke at Speakers' Corner and at Parliament Hill, Father McNabb was a busy teacher and a retreat master, in both cases for lay people as well as clerics. His classes on St Thomas — open to all-comers — were very popular; and from his retreats a devotee of his — Dorothy Findlayson — culled sufficient verbatim shorthand notes to have printed, with his permission, a number of slim but rewarding volumes of spiritual advice, such as Stars of Comfort and In Our Valley. Most of the chapters in these volumes are meditations on a few lines of Holy Scripture, or a line-by-line analysis of one of the great prayers of the Church. Father McNabb was also an enthusiast for Chaucer and Francis Thompson and wrote essays on these, and other, poets and writers. He was also an admittedly casual biographer: he wrote a slim work on St John Fisher and another on St Elizabeth of Portugal. He also wrote a number of small books on aspects of Holy Scripture and a Life of Our Lord, which was written under strict obedience (it is a strange book, full of curious omissions and odd emphases, which unhappily reflects the author's reluctance to take on such a demanding subject). Interestingly, the very first book for which Father McNabb was responsible was an edition of the decrees of the First Vatican Council: his first printed pamphlet, entitled Infallibility, was a version of a lecture he had been asked to give to the Anglo-Catholic Society of St. Thomas of Canterbury. Father McNabb showed great interest in the possibility of the Anglican Church re-uniting with the Catholic Church: he often spoke to Anglican and Anglo-Catholic meetings and expressed great concern about the continuing de-Christianisation of their sect, from which concern sprang his book The Church and Reunion. He also took an interest in the poor Jews of Whitechapel and East London in general, and was held in great affection by the Jewish community there. In a more theological context, Father McNabb initially made his name as a preacher and teacher — beyond the walls of the Dominican institutions which he served — with his conferences on faith and prayer at the Catholic Chaplaincy of Oxford University. These conferences were eventually published in one volume, Faith and Prayer, and constitute the most substantial contribution Father McNabb made to more academic theological writing. He also wrote a slim book on the Blessed Sacrament, God's Good Cheer, a collection of theological essays, Where Believers May Doubt, and another collection of similar essays, Frontiers of Faith and Reason, which covers a variety of topics from the origin of the epiclesis to a plea for the re-introduction of the Sarum Rites of Betrothal and Marriage. Aside from these works Father McNabb was also a great contributor to periodicals of many sorts, from G.K.'s Weekly to the more obvious Catholic periodicals, Blackfriars and the then-orthodox Tablet. While Father McNabb was clearly more than a 'one-issue man' it is striking how many of these books and articles touch upon, even dwell upon, matters relating to the social teaching of the Church and to the family. But of course Father McNabb's life as a friar was also of great note. Even amongst his fellow Dominicans, as yet untainted by modernism and its laxities, Father McNabb was considered to be an ascetic. As Prior of Woodchester, Hawkesyard and Holy Cross he had developed a reputation for being hard on others, but certainly no harder than he was on himself: and he could always lend someone a sympathetic ear, something he never seems to have had for himself! He ate sparingly — he blamed his "Protestant stomach" — and his face and body demonstrated the hard self-denial of his religious life. He slept on the floor of his cell — which floor he scrubbed daily — and his bed lay unused even through illness and his final death-pangs. He had no chair in his room until the last days of his life when — still refusing to lie on his bed — he finally consented to be seated in a chair. When writing, he knelt at a table surmounted by a crucifix and small statue of the Blessed Virgin: on the table lay his only books, a copy of the Vulgate, his Breviary, and the Summa Theologica. He kept a compendious box of notes, all written on scraps of paper — the backs of cards, used envelopes and the like — on a huge variety of subjects some penned in English, some in Latin, some in Greek and some even in Hebrew. Everything he wrote was hand-written: he abominated most machinery and had a particular vehemence for type-writers! "Some men wrest a living from nature. This is called work. Some men wrest a living from those who wrest a living from nature. This is called trade. Some men wrest a living from those who wrest a living from those who wrest a living from nature. This is called finance." "The Incarnation is the centre of all our spiritual life.. One of the means by which it is made so is the Holy Rosary. There is hardly any way of arriving at some realisation of this great mystery equal to that of saying the Rosary. Nothing will impress it so much on your mind as going apart to dwell in thought, a little space each day, on Bethlehem, on Golgotha, on the Mount of the Ascension." Father McNabb wore a homespun habit and marched around London in the same heavy hob-nailed boots from year to year. Over his shoulders as he trudged about the streets he had slung his "McNabb-sack", a capacious if battered means of carriage for his Vulgate, Breviary, and whatever other books he needed. Although he was not averse to rail travel, or public transport in general, he usually refused to travel by car or by cab: the long distances he had to cover in London from St Dominic's Priory to the various convents to which he was chaplain, to Speakers' Corner and to Parliament Hill, he managed on foot and at a startling pace. "Blessed are the poor! Few things have ever touched me more than that. Out of his poverty he offered me my fare. Imagine that coming from one who has not the faith. What am I to do when I see him next? To kiss his feet would be unworthy of him. I shall pray... that God may give him the consolation of the faith." The full extent of Father McNabb's own charity will of course never be known. What he did privately remained private even after the public death that we will shortly be considering. But before I move on to describe Father McNabb's death, I feel I must offer up a few examples of his wit in order to derail any growing impression that Father McNabb must have been a miserable fanatic. Father McNabb certainly had a way with words. He was particularly adept at dealing with hecklers. On one occasion during a long disquisition on sin at Speakers' Corner an Irish woman shouted out: "If I was your wife I would put poison in your tea!" Grinning, Father McNabb replied: "Madam, if I were your husband I would drink it!" On another occasion he famously compared hearing nuns' confessions to being pecked slowly to death by ducks. On a more serious note, he once attended a public meeting on the subject of the Mental Degeneracy Bill then passing through the House of Commons. After listening to various medical experts explaining how they would certify as mental degenerates, and as a result sterilise, many types with whom Father McNabb was familiar in his pastoral work, the good friar stood up and, having been called to speak by the chairman of the meeting, bellowed: "I am a moral expert and I certify you as moral degenerates!" He stormed out of the meeting to rapturous applause and the meeting broke up in disarray. If it is true that it is possible to tell much about a person's life from the manner of their death then it seems only appropriate that we should now turn to the last long weeks of Father McNabb's life and to his eventual death. On 14th April 1943, as he was drawing to the end of his seventy-fifth year, Father McNabb was told by his doctor that he had only a short time to live. That same day he wrote to his niece, Sister Mary Magdalen, a Dominican sister, "Deo Gratias!... I have been told that I have a malignant incurable growth in the throat. I can, at most, have weeks to live." It was to be approximately nine weeks before Father McNabb finally died. He carried on his teaching courses on Aquinas and the Psalms, even offering to start a course on the Angels for as long as he lasted: "I do not know what sort of Angels they will put me amongst, dear children! I am not good enough for the good Angels." He warned his students that at any time he may have to send them a telegram to say that he was dead. When the press found out that such a popular figure was about to die they hounded the Dominican Community at St Dominic's Priory. Father McNabb was determined that his death should be as much a sermon as his life as a Dominican had been. He knew that the last weeks would be difficult. He had been told that he would effectively die slowly of starvation, and may well experience some severe breathing troubles, as the passage of his throat narrowed and finally disappeared. While his strength was still with him he continued to preach and speak across London. He went to all his choir duties until a few days before his death: although he was able to speak to the end, and his breathing problems were slight, he was not able to eat for about a week, and could not swallow any liquids for three days, before he died. He received the Last Rites after a collapse and slowly deteriorated until the morning of Thursday 17th June when he summoned Father Prior to his cell (under obedience he had allowed his fellow friars to move him from the floor to a straight-backed chair — they didn't dare suggest to him that he should take to his bed!). There, amidst the bare surroundings of a familiar austerity, Father McNabb sang the Nunc Dimittis for the last time, confessed his sins to Father Prior, and renewed his vows. He then became unconscious for half-an-hour, sneezed, and died. "All that he [Father McNabb] said, all that he did, all that he was, were the expression of his burning love for his Master, Jesus Christ Our Lord. The cause of God was his consuming passion — the glory, the justice, the truth of God. He was a great Friar Preacher, but he was something more — he was a living sermon." "Some people say, 'I do not like sermons . I never go to hear a sermon.' They do not know that these very words are themselves a sermon. They do not realise that every deed done in the sight or hearing of another is a preached sermon. The best or the worst of all sermons is a life led. God made every man and woman an apostle when he made them capable of dwelling with their fellow men and women. The best argument for the Catholic Church is not the words spoken from this pulpit but the lives lived in this Priory and in this parish. We should measure the words by the life, not the life by the words." This is an edited version of a talk given to the UK League of the Kingship of Christ by Michael Hennessy, at St George's House, Wimbledon, on Saturday 15th June 2002.